first of all you need to know that why should you ROOT your Samsung galaxy young s5360. Samsung galaxy young s5360 is cheapest android smartphone available in the Market. Samsung galaxy young has only 192 mb internal memory, but after rooting you can increase internal memory of your phone using custom ROM and using Link2sd app. After rooting your Samsung galaxy young s5360 ,you can change boot screen of your Samsung galaxy young s5360. you can manage system files of your Samsung galaxy young s5360. First you have to download UPDATE.zip from here. Copy update.zip in your SD CARD. Turn off your Samsung galaxy young s5360. Press "home button"+"Volume up key"+"Lock key" at the same time and hold it for 10 or 15 seconds until the recovery mode is opened. By pressing "volume Down key" select "update your zip files from SD CARD" then press"home button" then select update.zip files from where you have placed. Press "Home button" then it will take few seconds to complete. 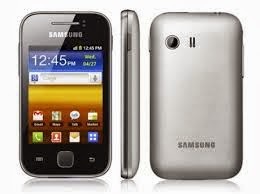 After it is completed reboot your Samsung galaxy young s5360. Then you will see "SuperUser" app on your Samsung galaxy young s5360. That means your phone is rooted. ""I am not responsible for any Possible damage for your Samsung galaxy young s5360""